The Faculty of Applied Sciences’ main ambition is to contribute to resolving the major social challenges of our time through its teaching and research. These challenges include a secure, safe, clean and efficient energy supply, health (e.g. effective medicines), security of food supply, green economy/bio-economy, safety and security (also in terms of information transfer) and innovation. The faculty aims to be among the best in the world in a number of research areas. 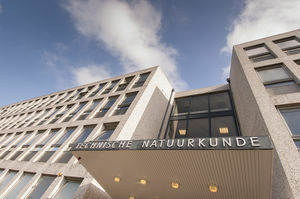 Research at the Faculty of Applied Sciences is fundamental and application-oriented in nature and spread over six departments. The Faculty offers research-oriented education at both undergraduate (BSc) and postgraduate (MSc, PDEng, PhD) levels. Please read the Long term strategic plan Towards 2020 of the Faculty of Applied Sciences (PDF or Digital Online version).